We all know public schools are not all equal. Rich kids get meticulous college-prep educations. Poor kids are often stuck in crumbling schools with shoddy expectations. Why haven’t we been able to fix this problem? We get a clue this week from an unlikely source. It underlines an unpopular argument I’ve been making for a while now: in spite of decades of “progressive” reform, our public education system is dominated by deeply conservative assumptions. This week, our already-fractured academic world was thrown another culture-war bone to chew on by law professors Amy Wax (Penn) and Larry Alexander (UCLA). Writing at Philly.com, the two scholars articulated the unpopular idea that some cultures were better suited for modern American life than others. To help people in poverty, society should encourage them to live more stable personal lives, more in line with “bourgeois” culture. What does any of this have to do with school reform? A lot. The point here is not whether or not Wax and Alexander are bold speakers of truth—as Jonathan Haidt has argued—or self-inflated stalking-horses for white supremacy. The point, rather, is that this dust-up among elite academics shows the real reason why school reform is so difficult. It is not because we Americans are unwilling to invest in public education. As recent headlines from New York City have shown, we often have put bajillions of dollars into efforts to improve schools for students from low-income families. As the case of the Wax/Alexander letter shows, the real reason we can’t fix public education is because we find it impossible to talk reasonably about poverty. Americans in general can’t even agree on the meaning of poverty. Some people think poverty is mainly due to personal failings. Others see the reason as structural inequality. As a result, we talk instead about fixing schools so that poverty will be magically eliminated. Instead of talking about reforming society so that fewer students in public schools come from low-income families, we reverse the discussion. We talk about fixing schools so that more students from low-income families will get ahead in life. 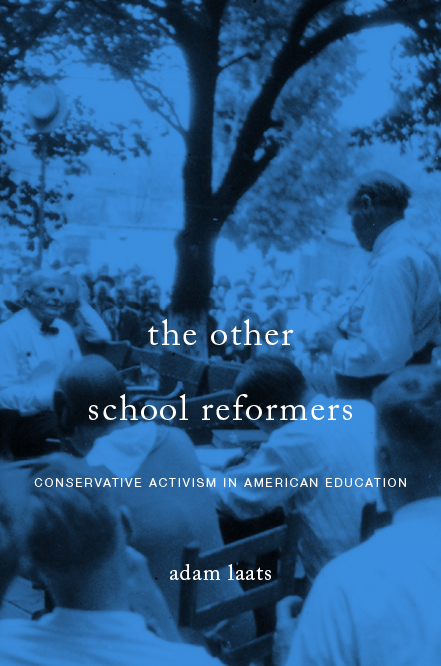 In effect, our centuries-long strategy to avoid discussions of social reform by investing instead in school reform shows how deeply conservative our fundamental assumptions about schooling have always been. Instead of fixing society to eliminate poverty, we try to fix schools so that individual people might get a chance to escape poverty. Instead of directly addressing the third-rail topic of poverty in America, we sidestep the issue by making a few schools a little better. The assumption is so deeply embedded in American culture that it is rarely noticed, let alone addressed. As long as kids from low-income families have access to a decent public school—the assumption goes—it is their own darn fault if they don’t improve their economic future. So money goes into shiny programs to make schools for low-income students a little better here and there, instead of going into programs that would change the fundamentally inequal structure of society itself. SAGLRROILYBYGTH are sick of hearing it, but I have to say it again. At the root of our endless failure to reform public schools is our endless failure to address the real problem. Schools can’t fix society, schools ARE society. The Wax/Alexander article makes sense to me. What atrocious ideas do you find in it? I think the authors knowingly flirt with the atrocious idea that people are themselves to blame for their circumstances in life. That poor people should have picked better families to be born into. That poverty is a moral failing. That gumption could solve most social problems. Wow, I didn’t read it that way at all. I don’t see them blaming the poor for their own plight. If anyone they blame the cultural elites. Yes, it is basically a reactionary argument you would find self-evident. The problem is it takes a class-based critique out of any material-economic analysis — as if middle classes just appeared by bootstrapping themselves with the wisdom of Proverbs and Ben Franklin, or that they can be recovered and sustained by mere thinking and acting in bourgeois ways. All the “cultural elites” the authors blame are indeed blameworthy but largely because they’ve supported the same and similar meritocratic, hyper-individualistic ideologies. Far from calling for class solidarity of some kind — the middle and working class together against exploitative elites — this is just blame and scapegoating. For a few summers in Milwaukee I spent a lot of time with young north side ghetto kids in a church gardening program designed to instill bourgeois values — show up on time, work in a group, learn about plants and food, get a “gift” of cash, open a bank account, and plan what you want to spend, save, and give away. The collision of old Lutheran Milwaukee with post-industrial Milwaukee in the MLK Drive former riot zone area made this an interesting place to observe the misunderstandings and abject failures of nearly all helping perspectives. The same kid also proudly identified with his neighborhood and generations of extended family who all came from there — it and the high school they all went to had become in the 80s-90s one of the absolute worst, by bourgeois standards and police statistics. I would probably never put my family in that environment, although I was close enough to it, most white people could not see much difference. This and other experiences taught me to see pockets of order where things like marriage in a technical, demographic sense are not very helpful indicators, and when you make them into that, as a narrative that reaches children, you may be doing harm. It would be wrong to tell kids like that they should migrate to the suburbs ASAP (which has good results for everyone but not so much the young men) — but it was a good thing to take my kids in this program over the river and into the white East Side to hang out in parks and pizza places — where they expected police, dogs, and white people to rise up and drive them out. Imaginative horizons mean a lot. Can poor kids imagine more for themselves that they want, that is accessible? Or are they being imagined into a colonizer type of narrative where they are victims and self-victimized losers who fail to adopt the correct customs and rituals of bourgeois morality? * I mean outmigration from dysfunctional inner city environments to comparatively more functional ones has been shown to be beneficial to those people who can afford to make the move, but there are often negative results and reactions from young men who go through that cultural dislocation which may have a lot to do with the way race and racism operate in urban/suburban America. Outmigration of more socially and economically enfranchised middle class minority populations is widely perceived as a loss to cities like Milwaukee and especially their black communities. There is a lot of pain and tragedy around that type of thing in northern cities, in African American communities in particular, where open housing/desegregation coupled with economic losses and an influx of guns and drugs tended to leave only the most abject people behind. The stay or leave dilemma pits the individual, or the family, against the larger group interest. No option is truly a restorative one; both tend to merely cope with enduring wounds in the social fabric.